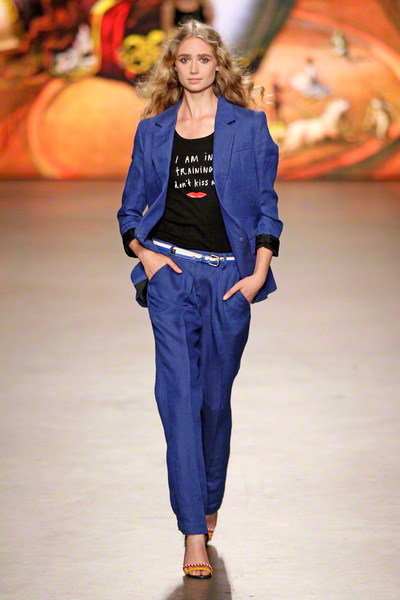 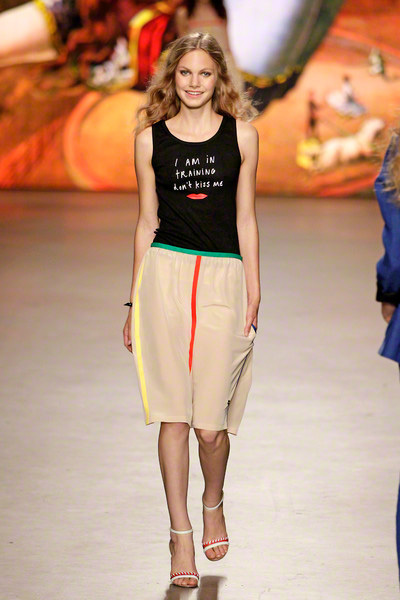 Truus Spijkers and Riet Spijkers presented a signature SIS collection tonight, named I am in training, don’t kiss me. 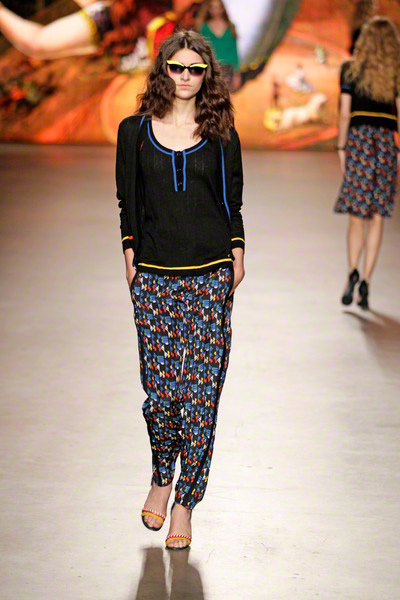 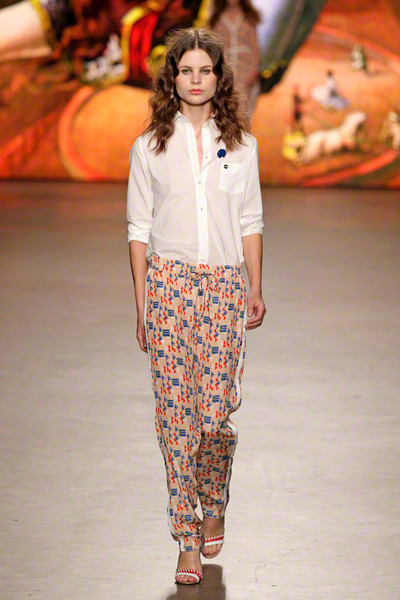 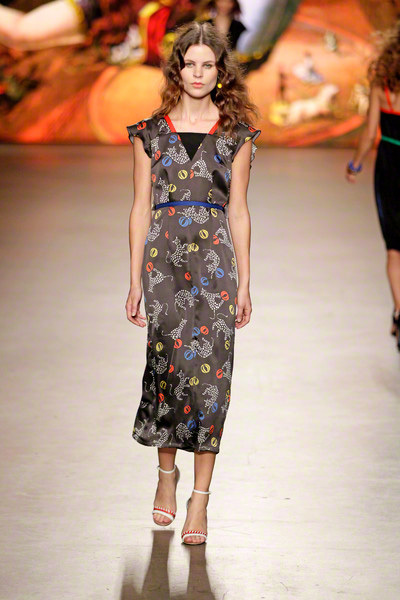 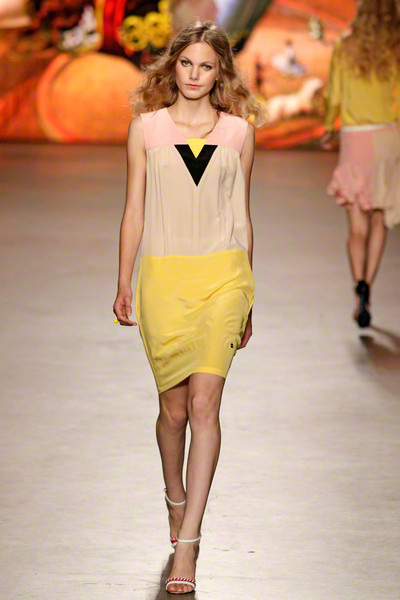 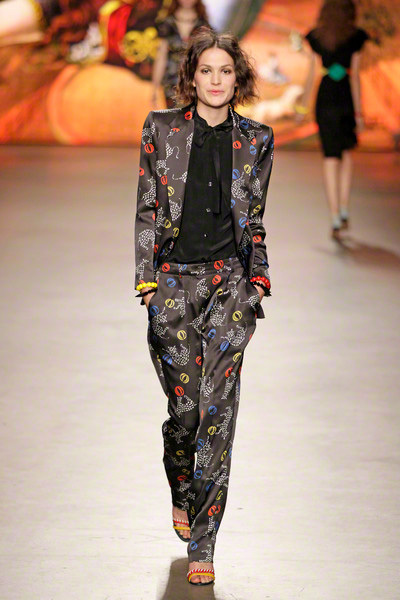 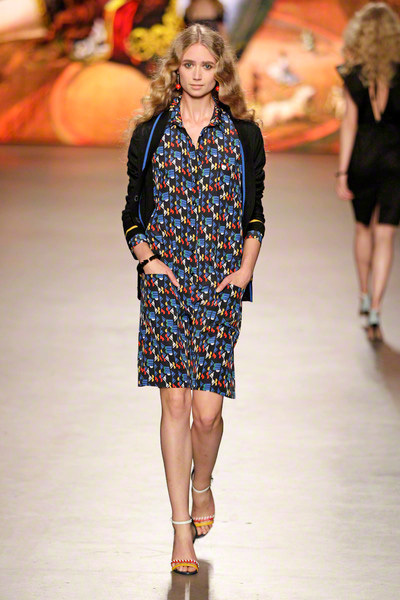 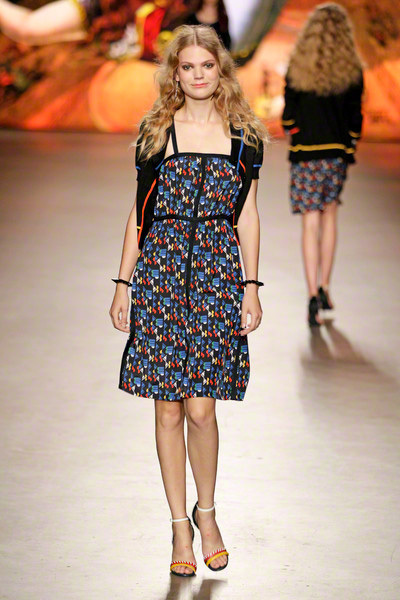 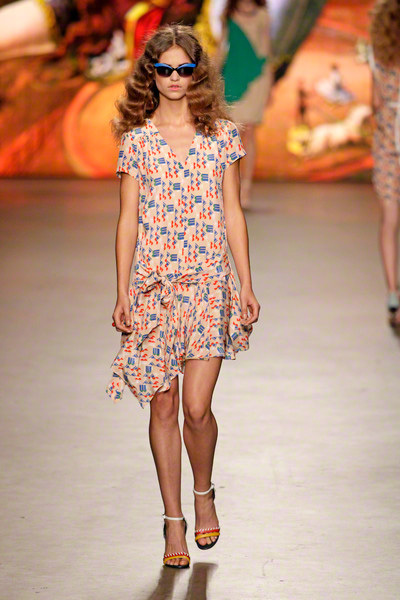 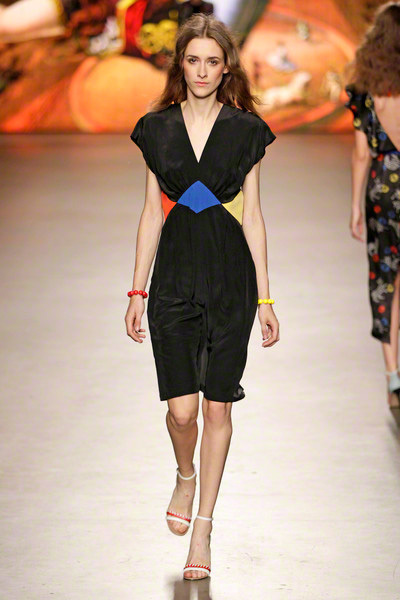 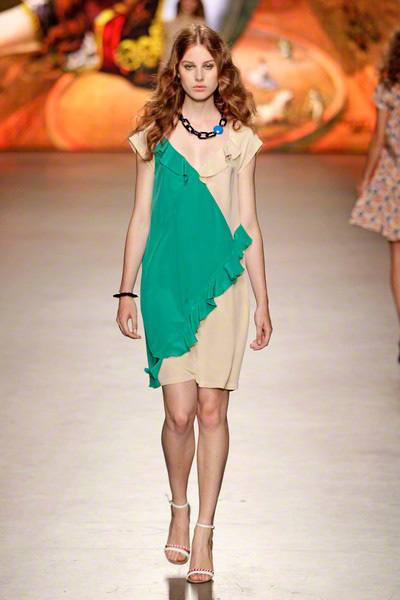 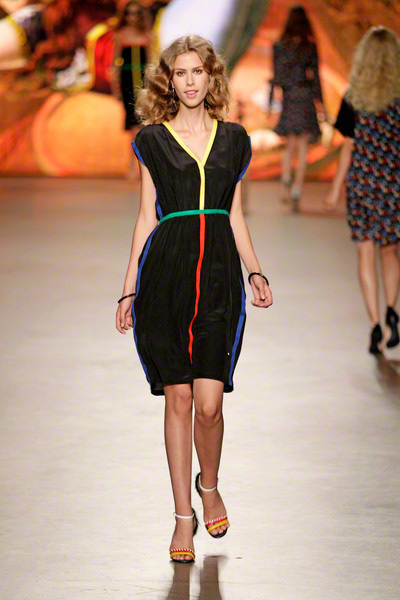 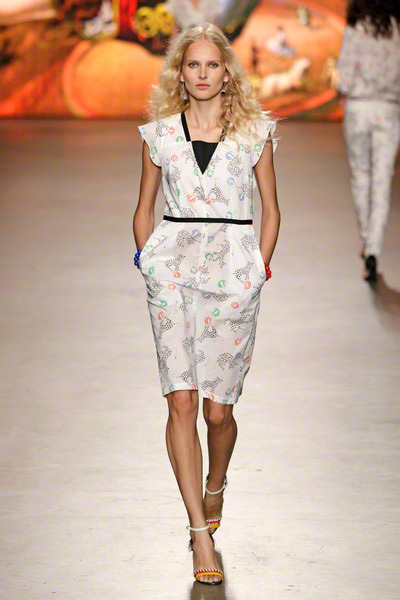 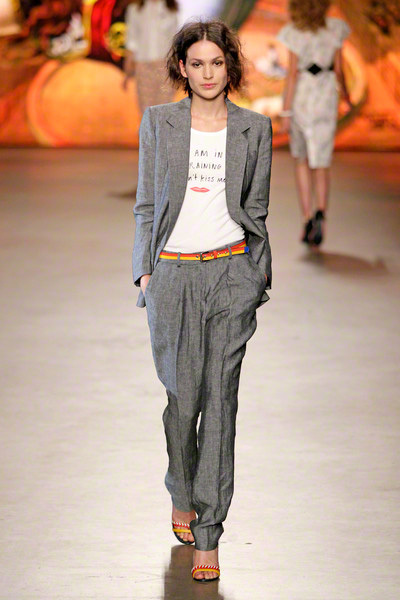 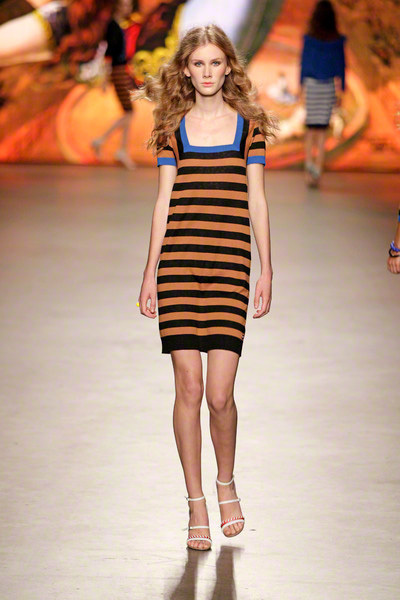 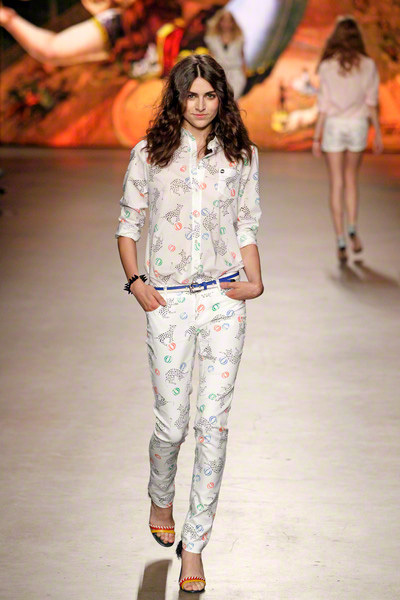 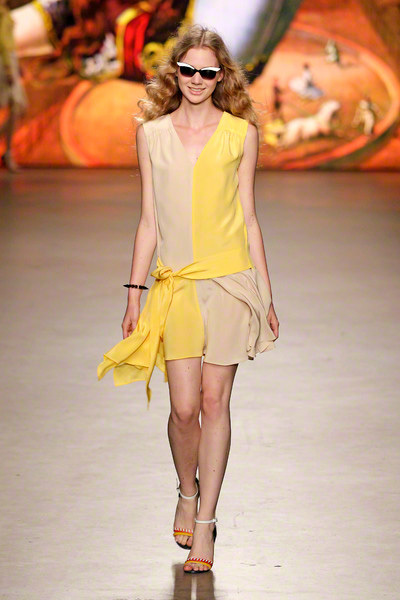 The looks were inspired by the circus, which was visible in the clothing details and the circus animal prints. 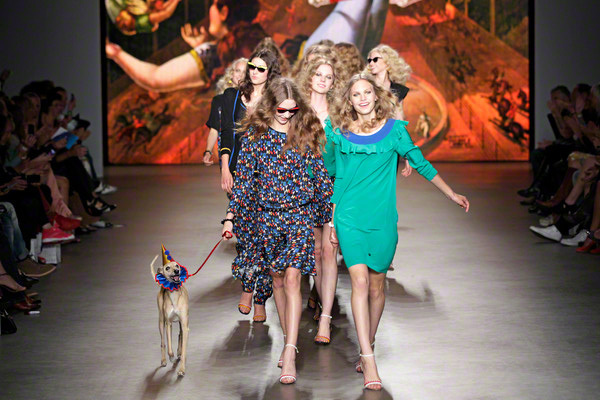 Even the backdrop and the music breathed circus, while the smiling models with curly hair gave the show an extra positive vibe. 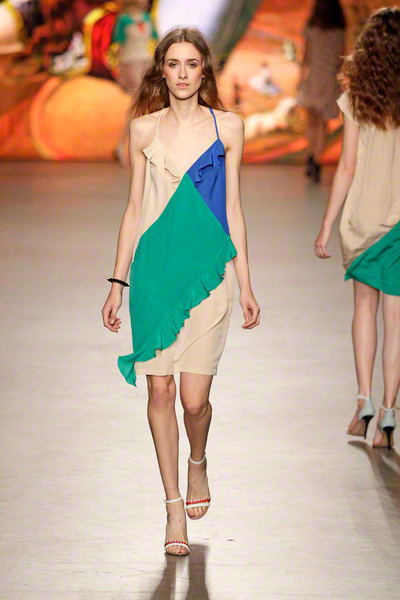 They wore wearable dresses in different colored parts and playful ruffled skirts. 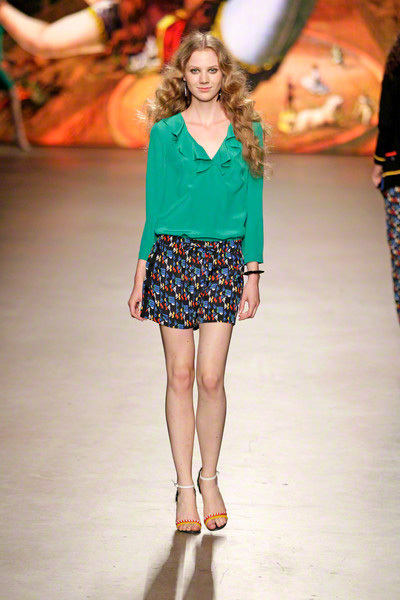 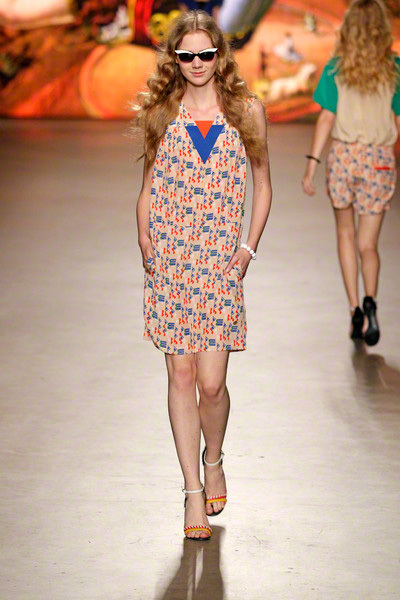 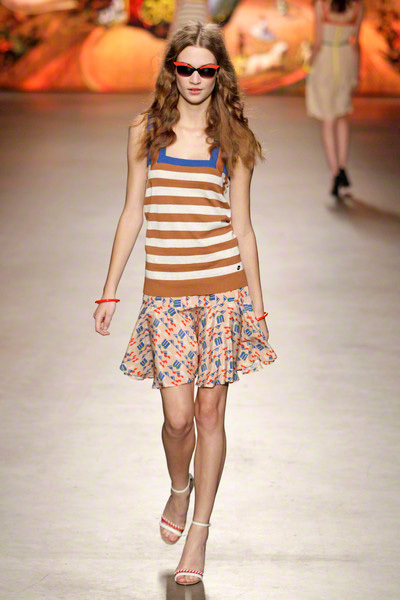 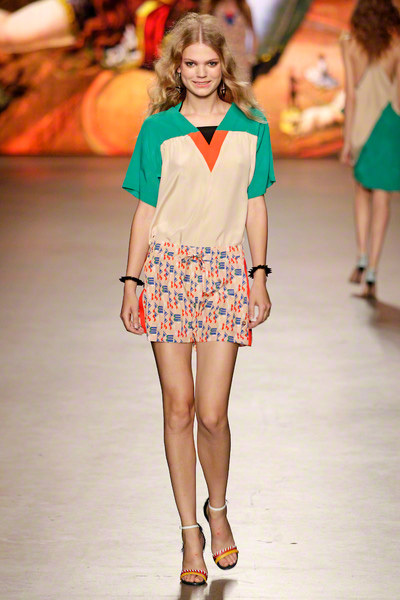 Printed hot shorts were worn with loose fitting tops, small colored belts and elegant heels. 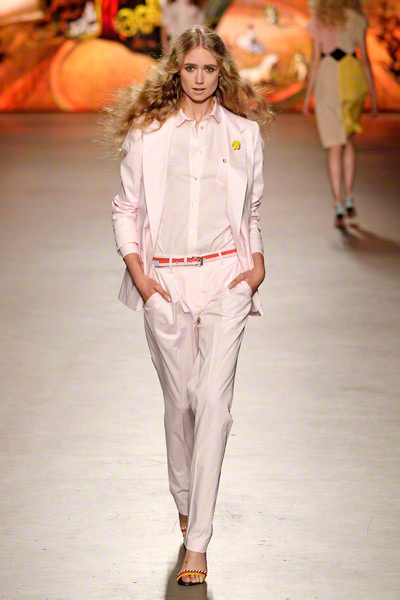 Like always at SIS there were a few suits too, a light pink version with a blouse in the same color being the most stunning. 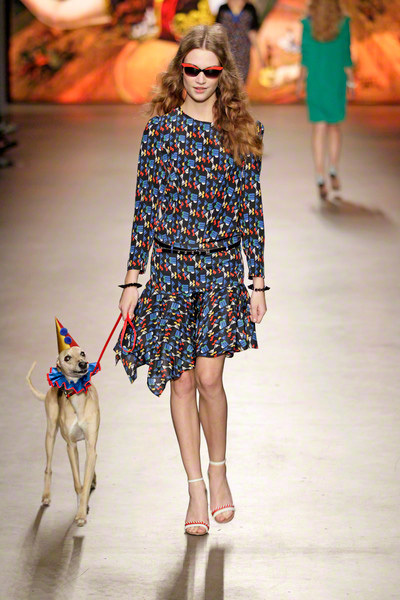 An extra playful accent was added to the show when a dressed up circus dog (actually the dog of the Spijkers-sisters) was sent on the runway, accompanied by one of the models. 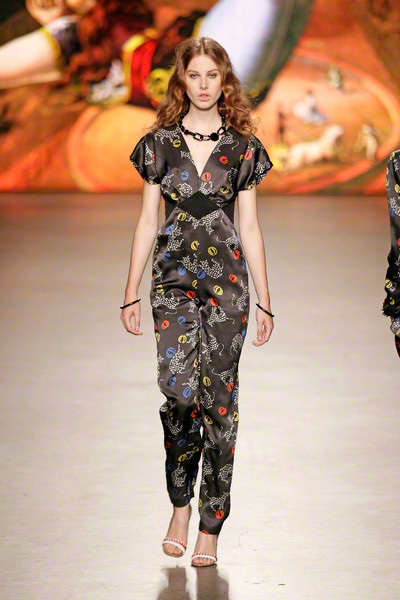 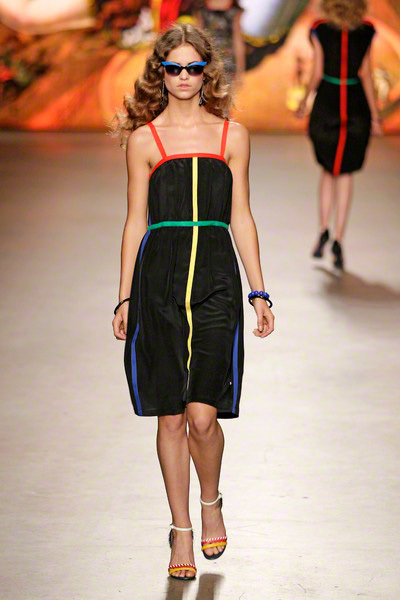 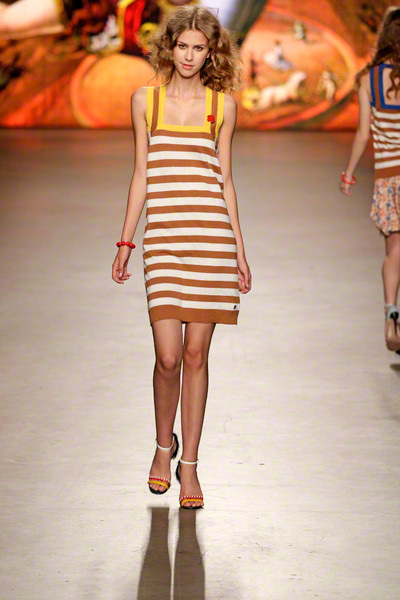 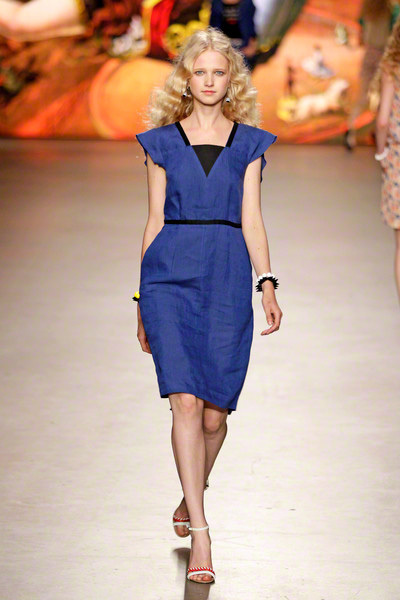 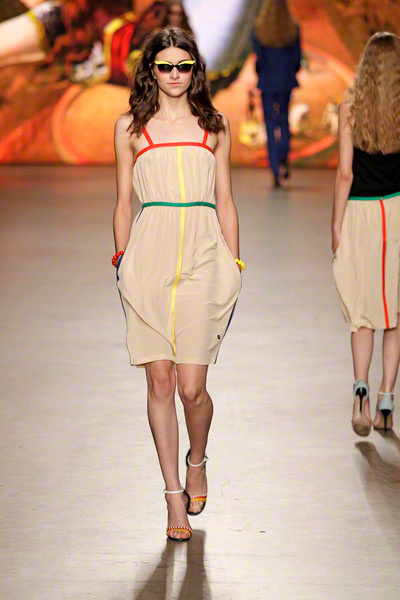 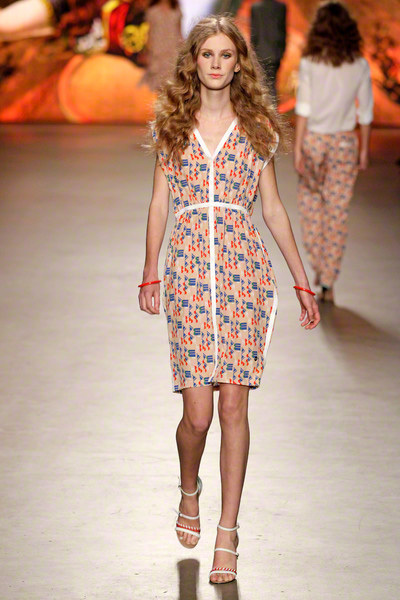 Overall it was one of the sexiest, most cheerful SIS collections so far. 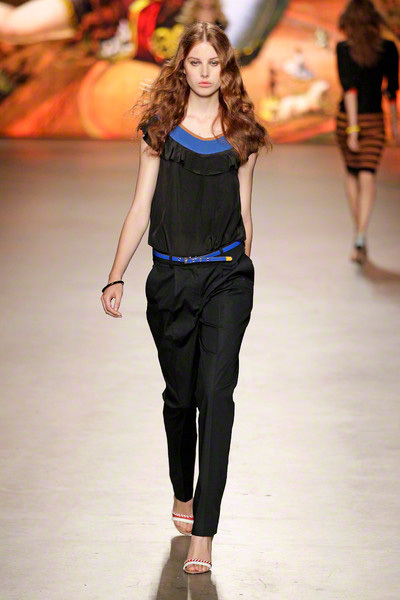 Let’s keep this positive vibe throughout the night!